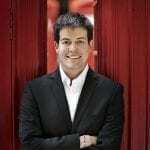 Askonas Holt is delighted to announce the General Management of accompanist James Baillieu with immediate effect. Sought after as an accomplished chamber musician, soloist and accompanist James recently curated a series exploring the chamber music and songs of Poulenc and Hahn at Brighton Festival, worked with Thomas Quastoff at the Verbier Festival, appeared as soloist with the English Chamber Orchestra at the Royal Festival Hall and gave recitals at Wigmore Hall as well as releasing two CDs: Britten Canticles with Ben Johnson for Signum, and Vocalise with Adam Walker for Opus Arte. Born in South Africa, James studied at the University of Cape Town and the Royal Academy of Music in London with Michael Dussek, Malcolm Martineau and Kathryn Stott. In 2007 he graduated with a Dip.RAM and received the Christian Carpenter Award in recognition of his outstanding achievements. He was appointed a Hodgson Junior Fellow in 2007, a Professor of Piano Accompaniment in 2011, and awarded an ARAM in 2012. James was selected for representation by Young Classical Artists Trust (YCAT) in 2010 and in 2012 received a Borletti-Buitoni Trust Fellowship and a Geoffrey Parsons Memorial Trust Award. Congratulations on your signing with Askonas Holt. Tell us about your route into playing piano, I gather it was fairly unusual? When I was young living in South Africa I had very bad hand eye coordination – I was neither left nor right handed and didn’t like to cross over my hands. I was seeing an occupational therapist and she thought that maybe the piano would be a good thing to do because it used both my hands. It meant that I didn’t have traditional teaching, right from the beginning. The first teacher I had didn’t ever think, ‘This child is going to be a pianist,’ so I was allowed to play things which were far too difficult and crash my way through but what it meant was that I really fell in love with the instrument. Yes quite the opposite from a pushy parent my mother was always telling me ‘Go and play outside, we live in South Africa for goodness sake!’ But I just loved the sound and the way you could create all this music and I spent hours at the piano. When did you realise that being an accompanist was something for you? I did my training as a pianist in Cape Town and then I did a competition in San Francisco in 2004 which ended up going well. Part of the prize was a concert tour around America. I just hated it! I hated being alone and the travel and the solitary practice. When I started working with singers and chamber musicians and saw that you could have this career and not be on your own, making music with other people, and with the lieder side of things, using words to create pictures of sound, I got the bug. I love the rehearsing and the energies all bouncing off each other. I think I thrive on interaction – before the concert and after the concert it’s always better to have other people to share it with. How did you discover lieder? When I was introduced to lieder in Cape Town we had this crazy teacher and one day we went into her practice room and everything was dark and she had silent movies being projected onto the wall. We had to improvise. Still to this day I think about it because just the image of the man coming through the door could be a hundred different things depending on how the music was played. It only dawned on me once I got into that world of lieder that Schubert was the same. So what is required as an accompanist? Where do your skills lie? With lieder you are trying to interpret the text together with the singer – you have to find common ground together and connect the music to the text. A lot of the time you are discussing concepts and images and yet you have to be flexible because when you are on stage it could all go down a different avenue. It’s a balance between having your own ideas and bringing that to your performance but also being flexible enough to go with whatever happens in the moment. You also need to understand the demands on a singer physically so that you can see in performance if they are feeling comfortable with the sound they are making or if you need to help them a little bit along with that phrase or so on. I love the workings of the voice and how it all happens – I am very interested in vocal technique. You also need to be a little bit diplomatic; you need to be sympathetic to the fact that for a singer their instrument is in their body. They can’t always hear the sound they are making so you have to be their ears at times. You have worked with some really major singers already including Ailish Tynan, Lisa Milne, Mark Padmore and Ian Bostridge with whom you performed Schubert and Beethoven at the Wigmore. How was it working with him? It was great; he was very down to earth. The whole thing was like second nature to him. You can learn a great amount from working with a singer like that. I think you just learn from the way it happens – it’s the way you respond to each other musically. Someone like Ian Bostridge has so much experience and it’s so natural for him that you find it affecting your own performance. Yes and you can learn a lot in relationships with your own peers – people who are starting out on the journey now who you feel you can explore with and do it all together. It’s very important because those are the ones who will hopefully carry on throughout your career. Who are you working with in particular? Quite a few really close friends who I met when I was a student at the Royal Academy and then went on to perform with. People like Ben Johnson, Marcus Farnsworth and Allan Clayton. What sort of work have you been up to lately? I’m touring Winterreise with Marcus Farnsworth for Music In The Round. We’ve done it in Scarborough and Portsmouth and this week in Wiltshire. We performed at the Crucible in Sheffield, in the round itself which was wonderful. The piano had no lid, and Marcus had to walk around as he was performing. I really enjoyed it – it took on a more theatrical element and you felt everyone’s energy coming down towards you, it was really exciting. Before that I did a short tour of Scotland with LSO flautist Adam Walker. We’ve done a lot of work together and we’re off to Istanbul next month. Would you like to form a bond with a particular artist with whom people would associate you? With an established partnership you get to know not just a singers personality but how their voice works which is important. However I also think that just as accompanists often work with different singers it’s good for singers to work with different accompanists. Kathryn Stott was my solo teacher when I was a student at the Royal Academy and she used to say, ‘There is nothing wrong with musical promiscuity!’ You discover different things from different people. It’s great to have established partnerships but getting different energies is also good. How do you split your time between chamber music, song and solo work? I think the balance I have is great – more than half my work is with song, then I do a good deal of chamber music and a few solo concerts. I think it’s important for me to keep up the solo playing and keep challenged because it’s a very different way of playing. I did a Mozart Concerto with the English Chamber Orchestra at the Royal Festival Hall recently and I have another coming up at the Petworth Festival. I enjoy the process of learning it and practicing and performing it even though it’s not something I want to do all the time. It’s quite a big change in your psyche to go from collaborative teamwork to all the focus being on you. Do you have a different approach to your chamber music work? A Song is so specific and on top of that it is often short, it can be only 1 or 2 minutes. When you go and play a sonata which is 30 minutes long you are working with the macro form rather than the micro. In some ways it’s not really the done thing to do both but I don’t see why not. There is so much wonderful chamber music written that I would find it a pity to not be able to play it. I find when I am working with instrumentalists I often say, oh this is like such and such a song, and then when you do it the other way you say ‘oh this is like that sonata.’ It gives you a different frame of reference instead of being just focused on the one discipline. We think of Schubert as a songwriter but we can’t forget he wrote hundreds of instrumental pieces as well so it’s good to explore that. You spend a couple of days a week at the Royal Academy both as Professor of Accompaniment and as a vocal coach. Yes I studied piano accompaniment at the Royal Academy myself – it was a really good course for both song and chamber music. Teaching there now is something I really love. It has actually improved my own playing because you have to put into words and unlock what it is that you are trying to do. I’ve found out more and more about different ways of teaching and playing. I really enjoy it and come back very energized and excited. Do you have anyone who you turn to, any mentors yourself? Michael Dussek my teacher at the Academy, who is now my boss there. I still see him from time to time for an MOT. I’ve been very lucky with all my teachers: Malcolm Martineau was my teacher and I’ve worked a lot with Graham Johnson. It’s amazing to be able to have access to the greatest protagonists of this genre and for them to be so friendly and open about it. My time at YCAT was also amazing; I don’t think I would have got where I am now without them. They just have so much experience and so much time. When you are a young artist it is hard to find your path and progress and they really help to build your profile and find opportunities for the future. It was wonderful to have got on the scheme and I had such a good time with them. In 2012 you were given a Borletti-Buitoni Trust Fellowship Award – in what ways are you using it? I will be doing a series of concerts in 15/16 at the Wigmore Hall – a spotlight series working with various singers and some chamber musicians. I’m also hoping to commission something as well. Last year you curated a Poulenc and Hahn series at the Brighton Festival – was it exciting to be able to come up with such a big series? As an accompanist a lot of time is spent thinking and coming up with interesting and coherent concepts and programmes. There is so much song which has been written and so much has been lost or fallen out of the repertoire. The Brighton Festival was really a great opportunity to immerse myself completely in Poulenc and Hahn, combining song and chamber music together. Programming is a real art and I am really inspired by someone like Graham Johnson who probably knows almost every song there is and puts them together so well. I’ve got several other series planned in the not so distant future. Do you have time for other things in your busy life? I try and make time. We go a lot to the theatre, and art exhibitions. London is great for that. I travel a lot so I do love coming home and just being settled. I also go back to South Africa twice a year to see my family and that’s very important for me. What else is coming up for you in the next little while? I’ve got another Wigmore concert next month with cellist Tim Lowe, and then I’m going back to this year’s Brighton Festival performing lieder with the German baritone Benjamin Appl which will be great. I’m also recording a CD of English Song with young mezzo Kathryn Rudge. It’s all challenging and all very varied. How do you cope with the amount of different people and different work you have going on at the same time – different characters and different demands? I think you just have to be organized in your head. I compartmentalise what I am going to practice when and you just prioritise as the week goes. You just have to try and be yourself. I am quite a shy person but I find if you are honest and genuine people relax more. When I think I came from a country where music as a profession isn’t really an option, I think, wow has this all happened? It’s taken a while but it’s also happened fast, it’s very exciting.